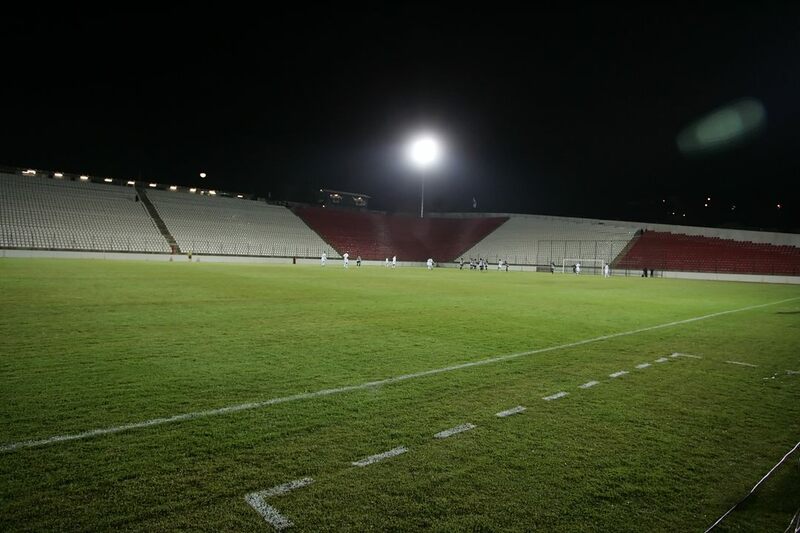 For the small club Democrata FC relocating from a 2,000-capacity home ground into an 18,000-strong new home was a major challenge. Not only logistically, but financially – the club financed works by itself. 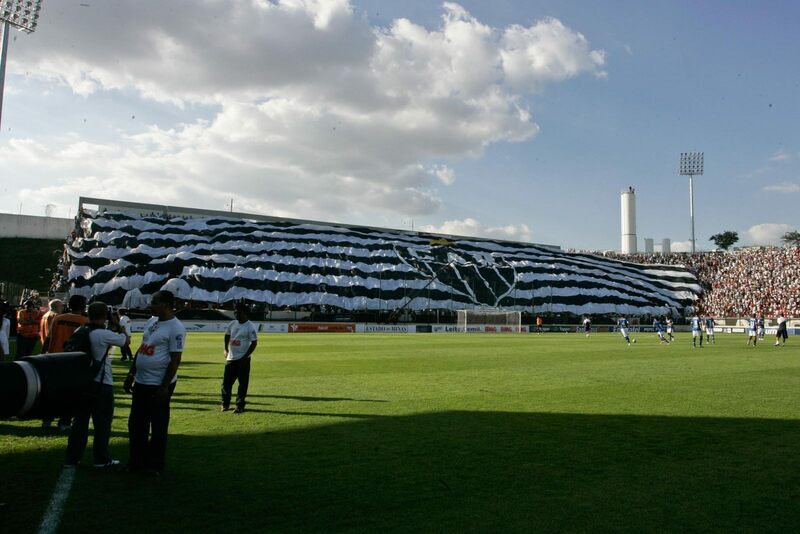 One aspect that wasn’t problematic was land ownership, because the entire plot was donated by Joaqim Nogueira, later given the honor of becoming the stadium’s patron. 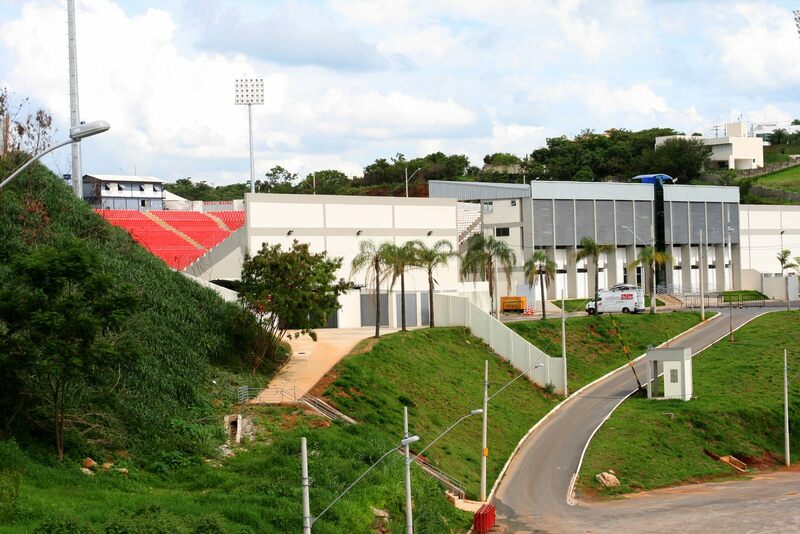 To cut down on cost the stadium was created by drilling into a hill in southern Sete Lagoas. This allowed three large terraces to be created on land slopes. Only a very small main grandstand was created with concrete in the west. This also enabled opening within just a year from groundbreaking. 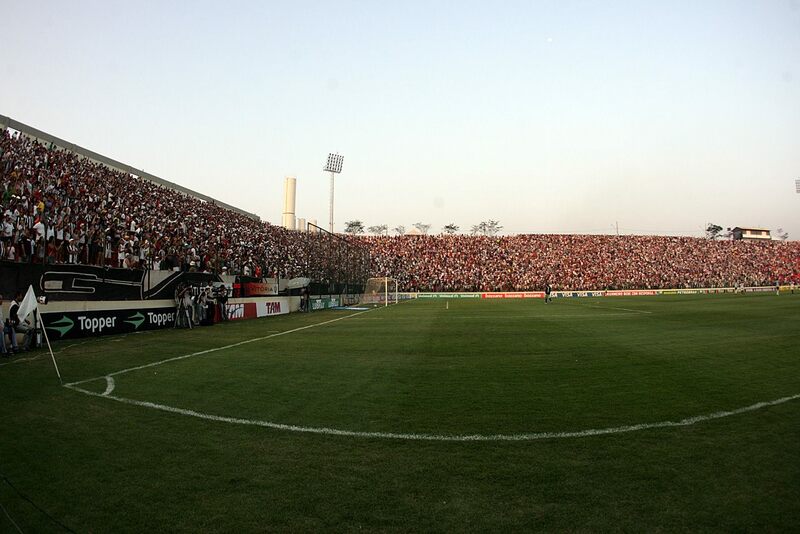 The hosts beat the renowned Atletico Mineiro 3:0 in their first fixture. 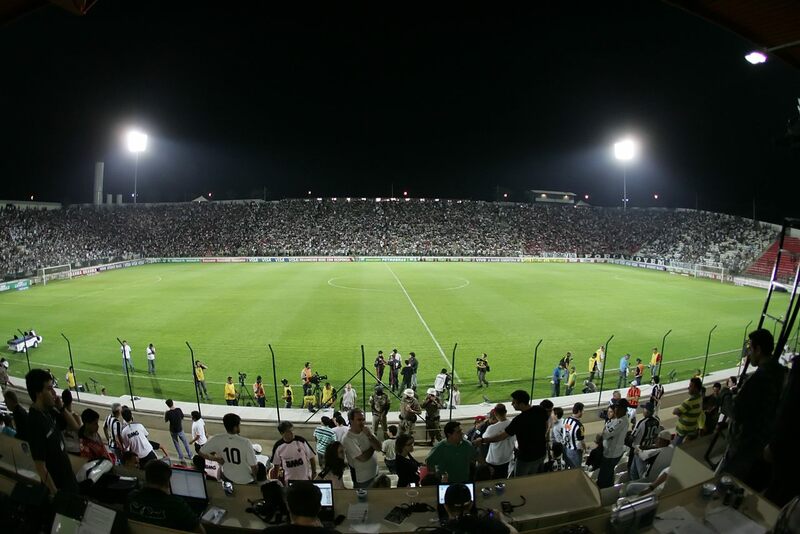 Thanks to the stadium being listed as a potential training venue for the 2014 World Cup, it received a major upgrade in 2009-2010. 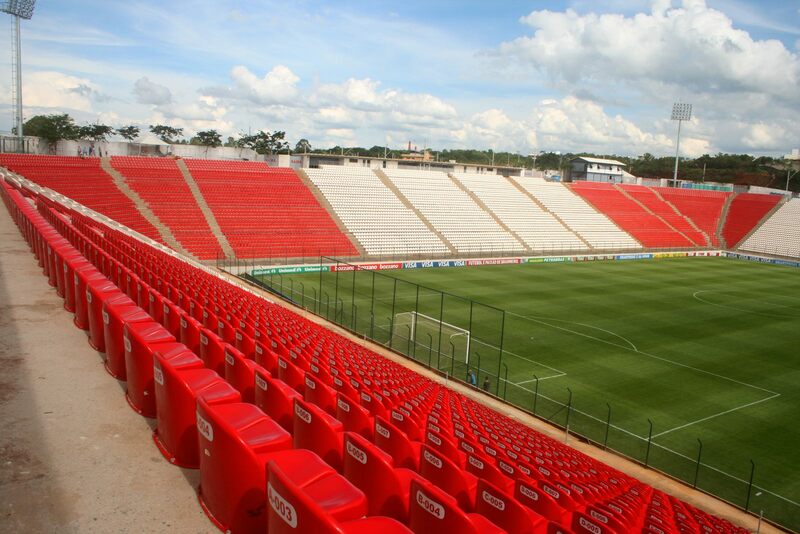 Floodlights, seats, entry gates and two new seated sections in the west were built, this time at the expense of public authorities, who spent some BRL 16 million. 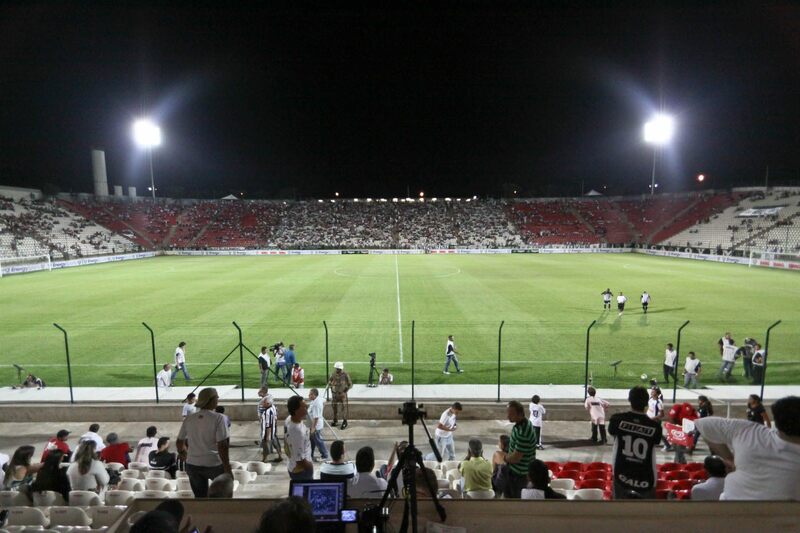 In 2012 a contractor filed for the stadium to be auctioned as Democrata reportedly haven’t paid for some construction services. 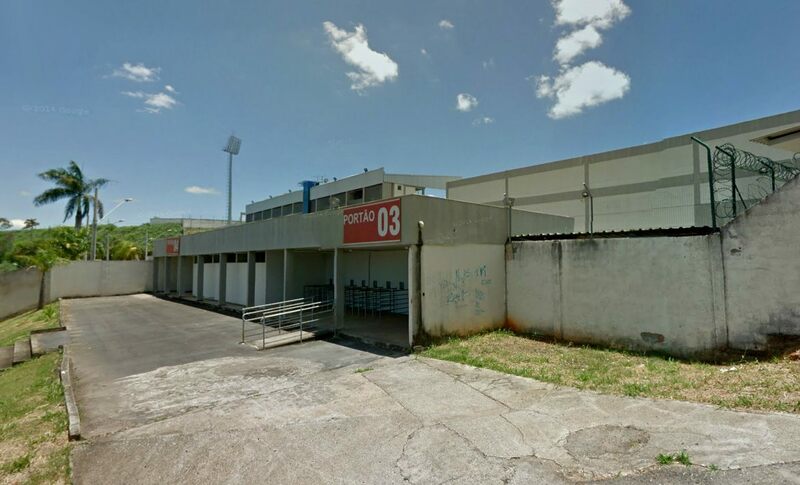 Local court agreed, but the price of BRL 19 million returned no offers. After reduction of the price to under 10 million the auction was halted by other authorities. 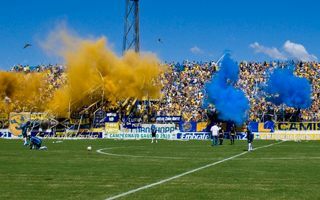 The stadium formally still is owned by Democrata, but over its first few years several other clubs played their home games here. 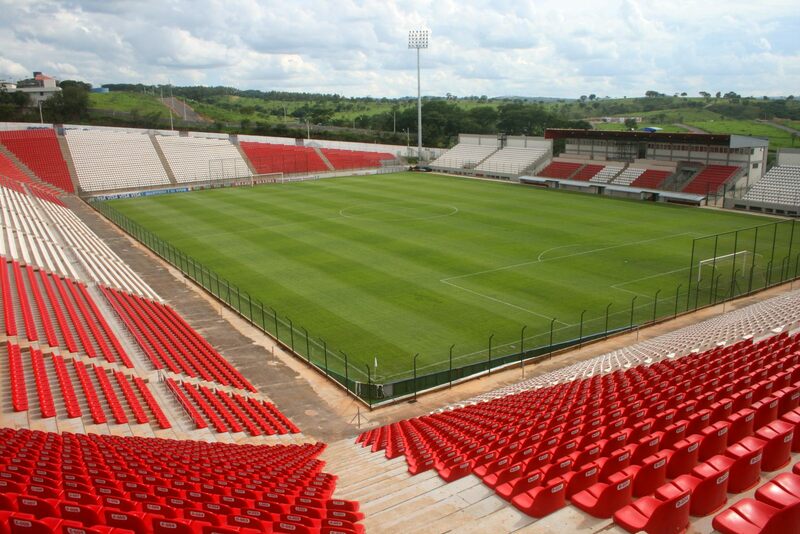 Most notably the stadium was used by more popular teams from Belo Horizonte as World Cup preparations forced them to leave their home grounds temporarily.